This porch ornament is intended to be used at the upper corners of a porch where the column meets the roof beam or spandrel. It breaks up the boxy appearance of square corners and adds more curves to your porch design. PVC construction ensures years of trouble free maintenance. Ornamental Mouldings 3088PKWHW ornament has a finely detailed embossed motif and is perfect for adding embellishment to any dicor. Useful in a range of applications including cabinets, wall panels, mantels and crafting projects. Ornaments convey a visual language by echoing motifs and usage throughout history exemplary of unique aesthetics. 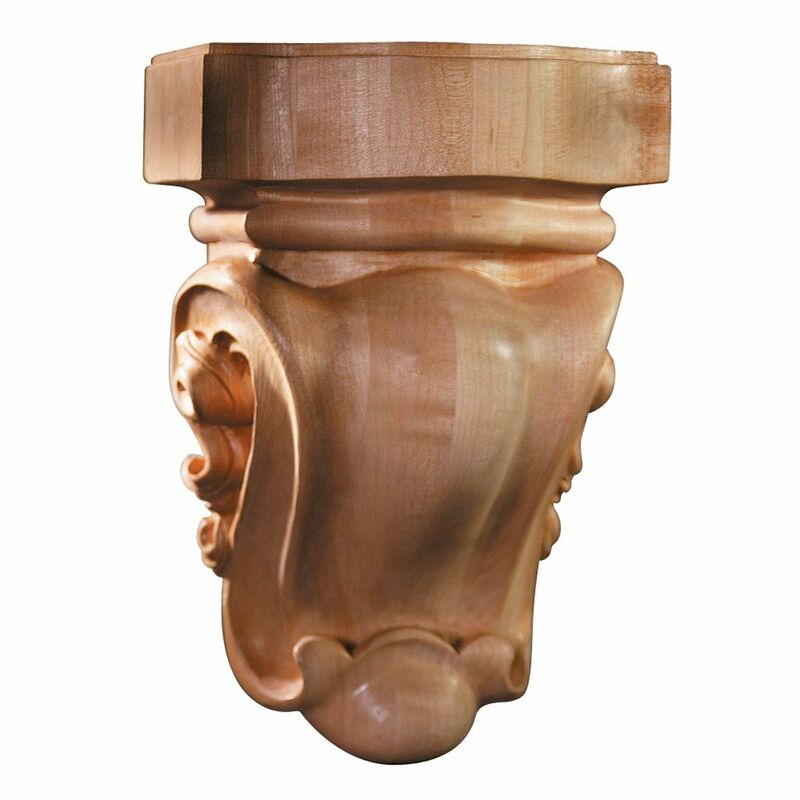 Unfinished Medium Maple Metamorphosis Corbel - 4 Inches x 6 Inches x 9 Inches A modern addition to any space. The clean lines and subtle curves accentuate any dicor. Suited to a wide variety of applications, corbels will add aesthetic value however you choose to use them.